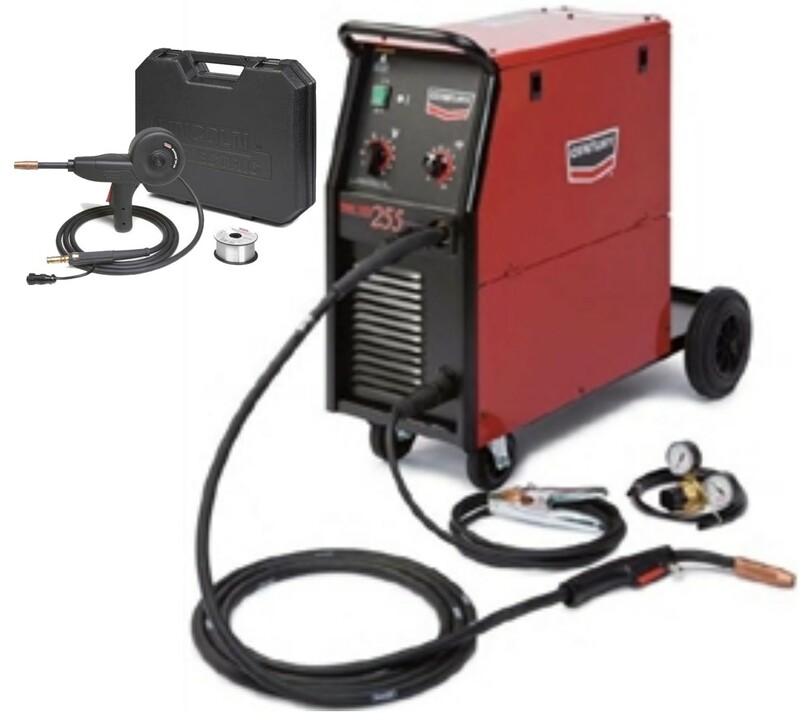 The Century 255 Flux-Cored/MIG Wire-Feed Welder has a 30 to 255 amp output to weld a range of thicknesses and includes a nozzle for MIG welding (requires MIG wire, sold separately). The flux-cored wire feed welds 18 gauge sheet metal to 3/16" thick steel in one pass and up to 1/2" in multiple passes. It has a 20% duty cycle at 255 amps that allows it to run 2 minutes out of each 10-minute period without overheating. Built-in thermal overload protection provides extended life. 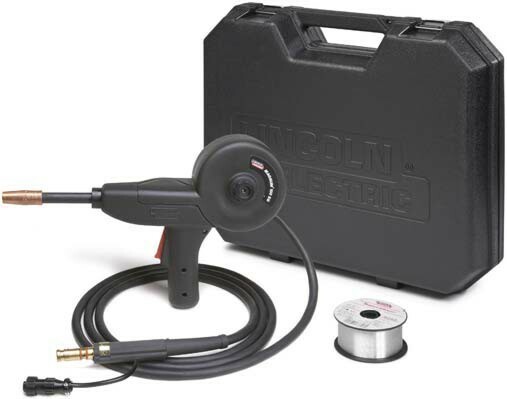 The welder comes with a gas regulator and hose, work cable and clamp, gun and cable assembly, contact tips, MIG welding nozzle, and an input cable with attached plug. The Century 255 was designed and is made by Lincoln Electric. 30" x 17" x 34" (H x W x D).